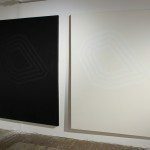 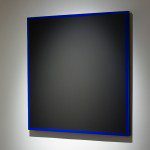 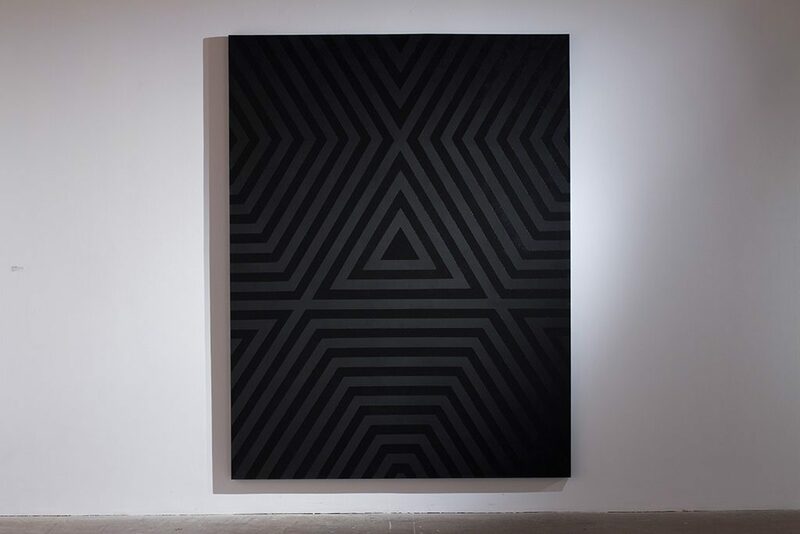 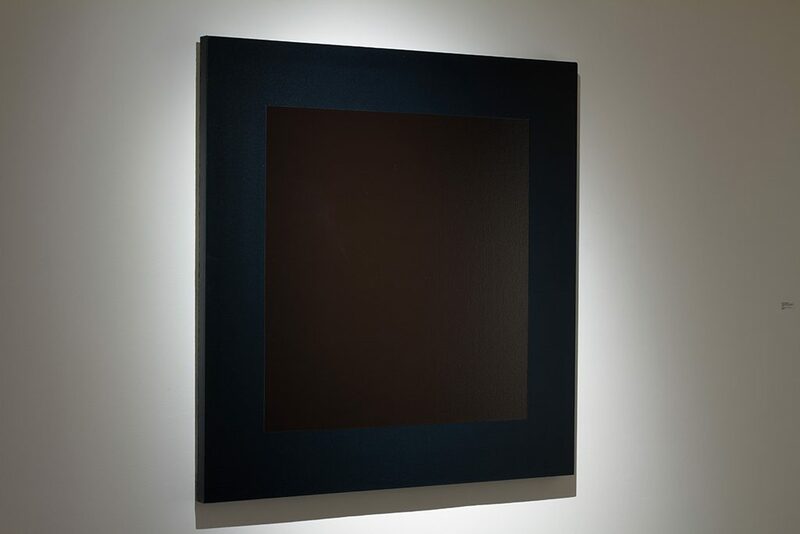 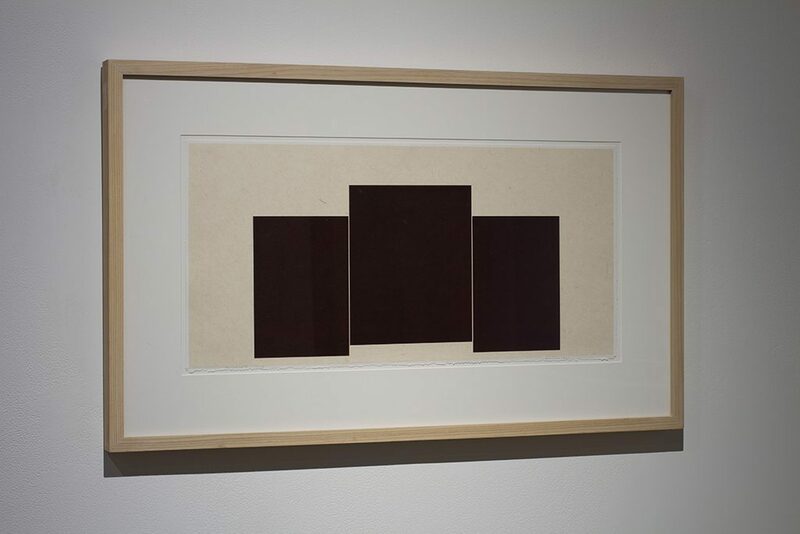 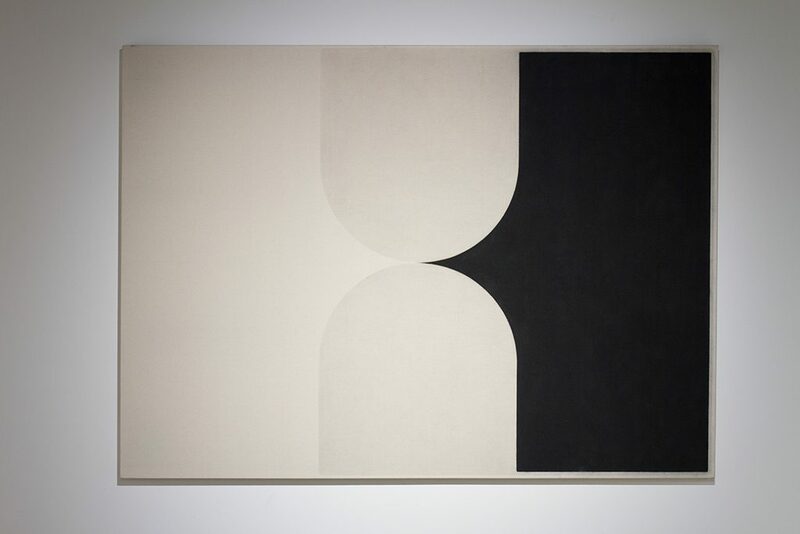 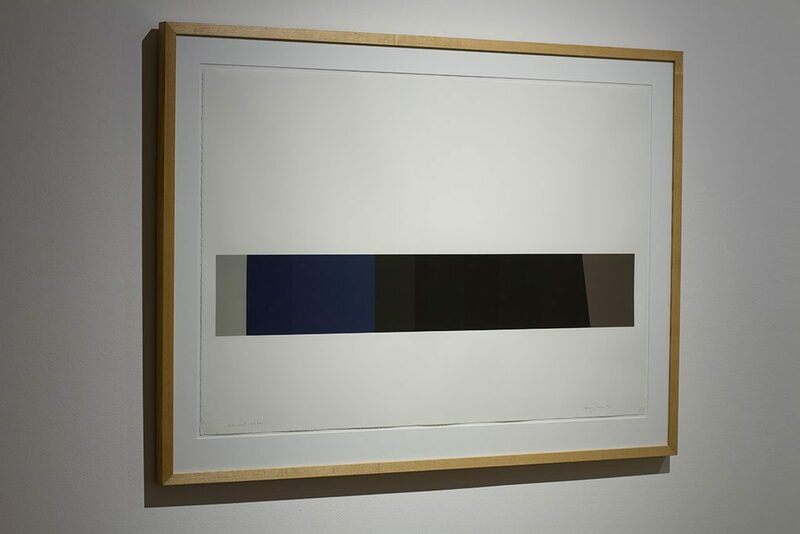 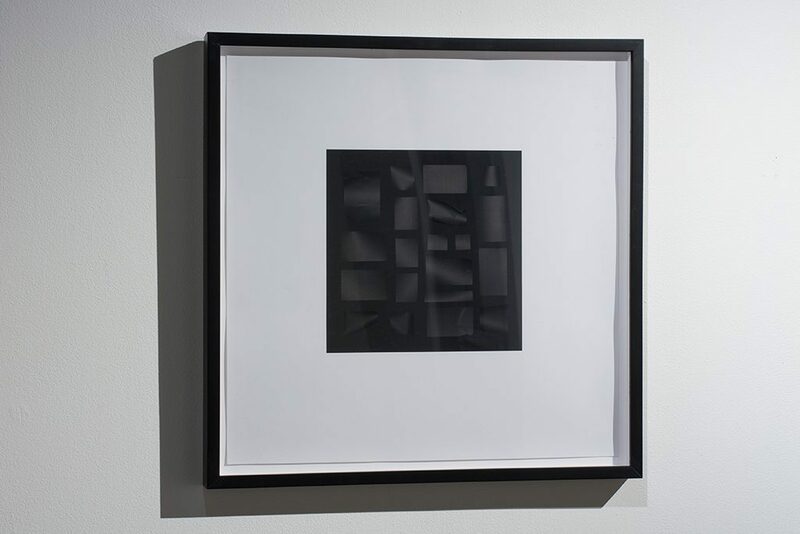 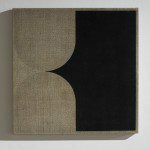 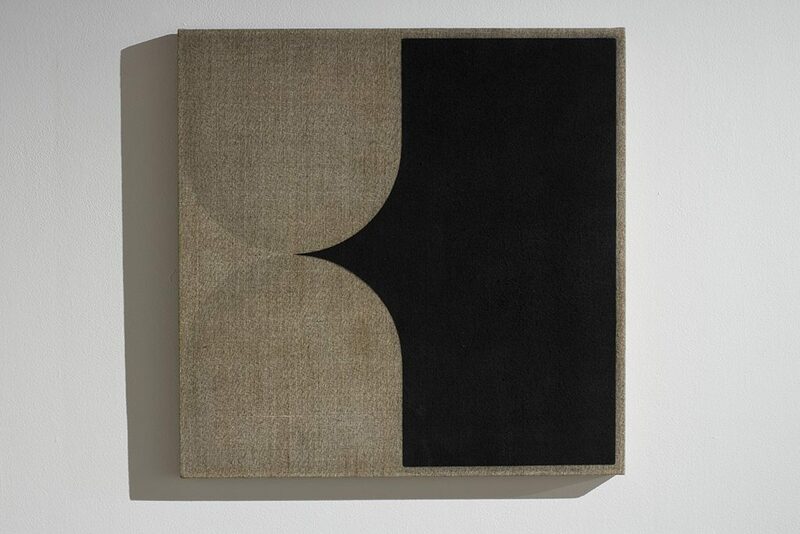 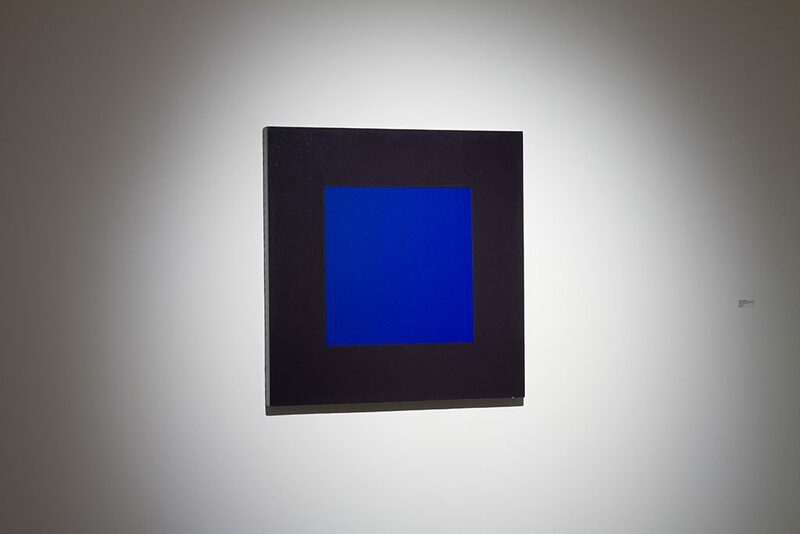 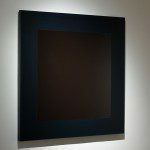 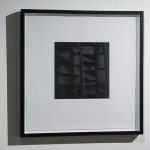 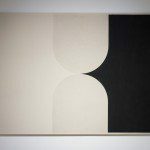 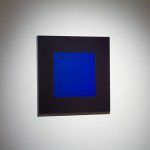 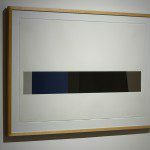 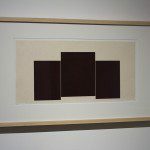 The monochrome first made an appearance in the history of painting in the work of Russian artists Kasimir Malevitch and Aleksandr Rodchenko in the beginning of the 20th century. 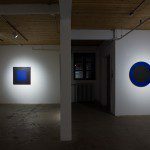 It was certainly a radical aesthetic declaration purposefully aiming to reveal mystical and spiritual truths through pure form and colour. 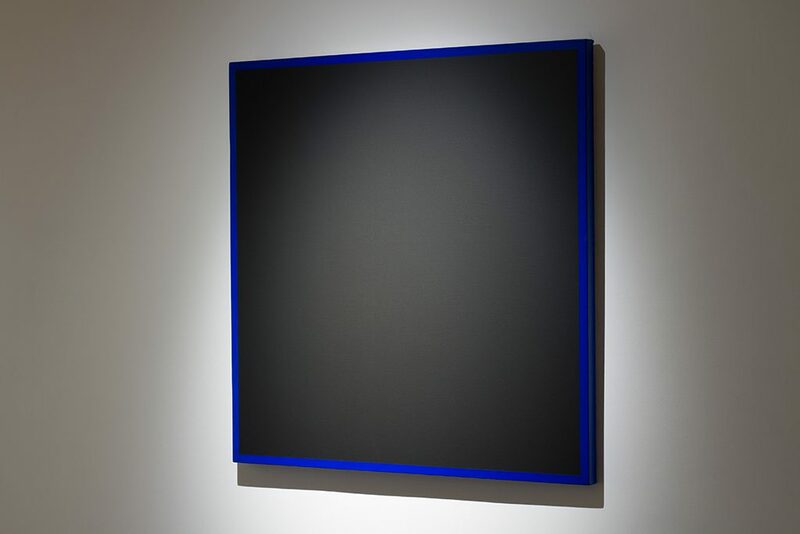 But it was also a revolutionary affirmation with strong political ramifications that aimed to abolish traditional painting associated with monarchy, all the while establishing a new art paradigm. 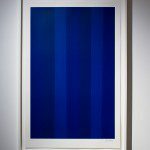 Its resurgence in subsequent decades in various parts of the world (in Italy, France, the USA and Japan, notably) invites to question what the abolishing of figuration asserts, what seeming inexhaustible potential artists find in the properties of simple colour and form and perhaps more significantly, what is, and has been at stake in the strategy of single-colour squares. 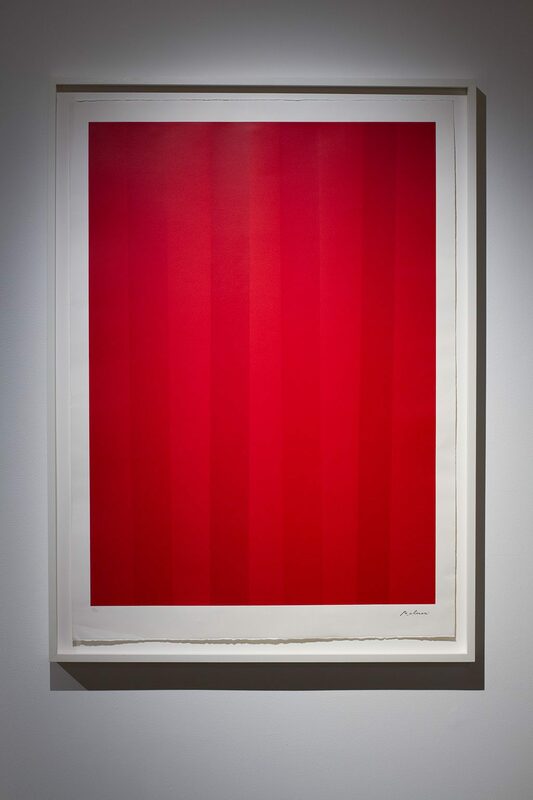 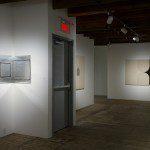 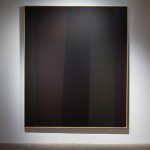 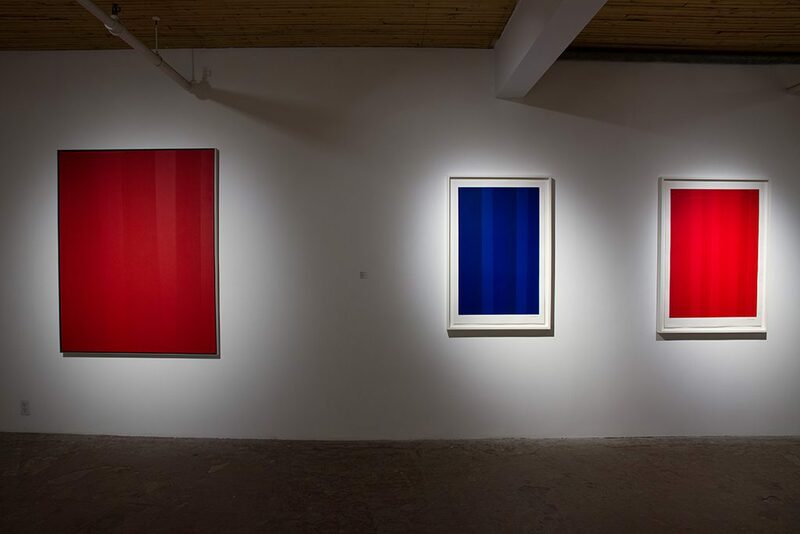 In Quebec during the post-war period, abstract art appeared with a rather similar agenda as in Russia half a century earlier. 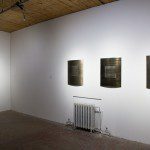 It became the banner call of a group of artists, known for signing the Refus global and whose cultural heritage in the Belle Province is largely appreciated as having prepared the grounds for the Quiet Revolution that began loosely a decade later. 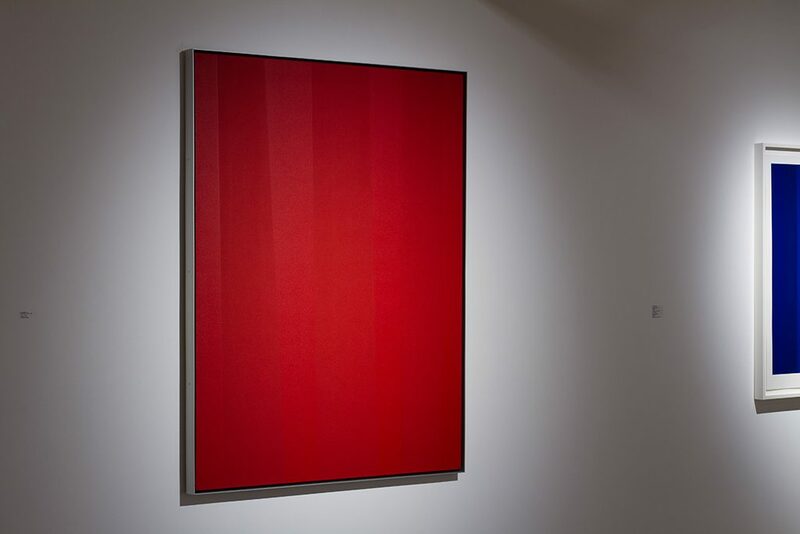 This exhibition looks at three generations of artists whose works merely escape monochromatic painting. 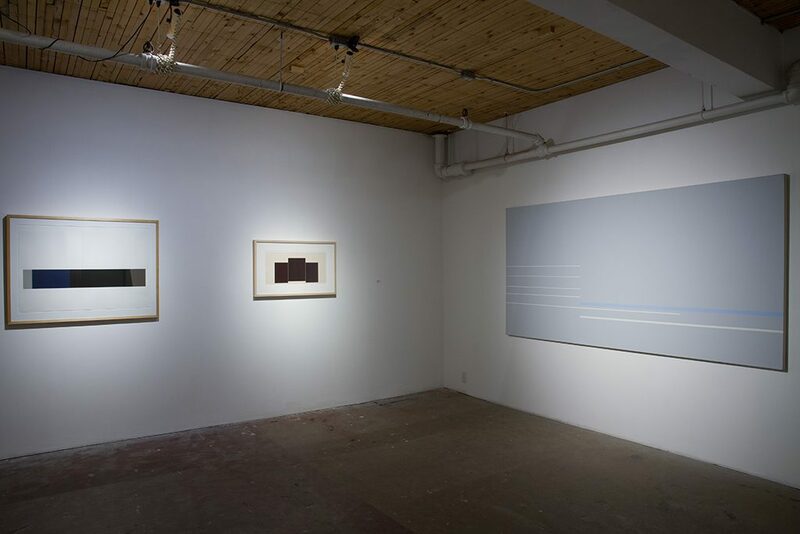 The first generation rally the hallmark of Canadian avant-garde artists, better known as Les Plasticiens: Claude Tousignant, Guido Molinari and Yves Gaucher. 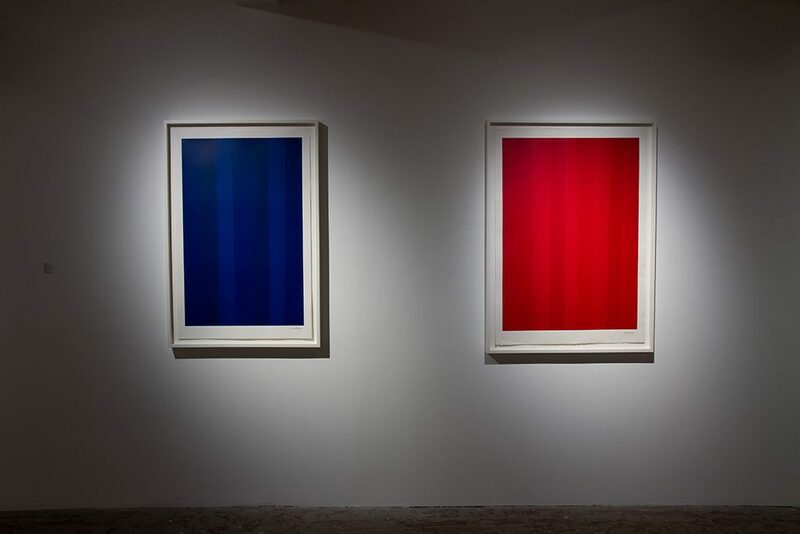 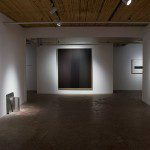 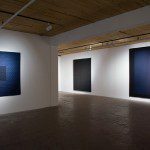 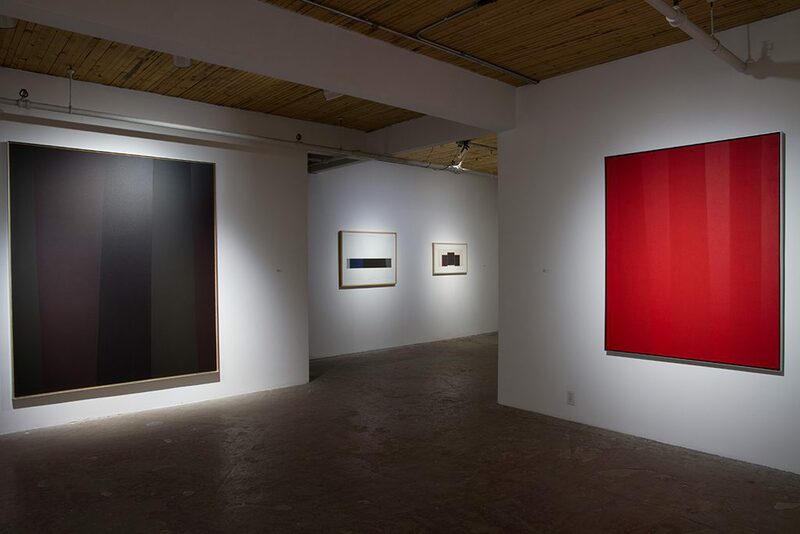 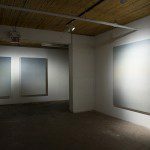 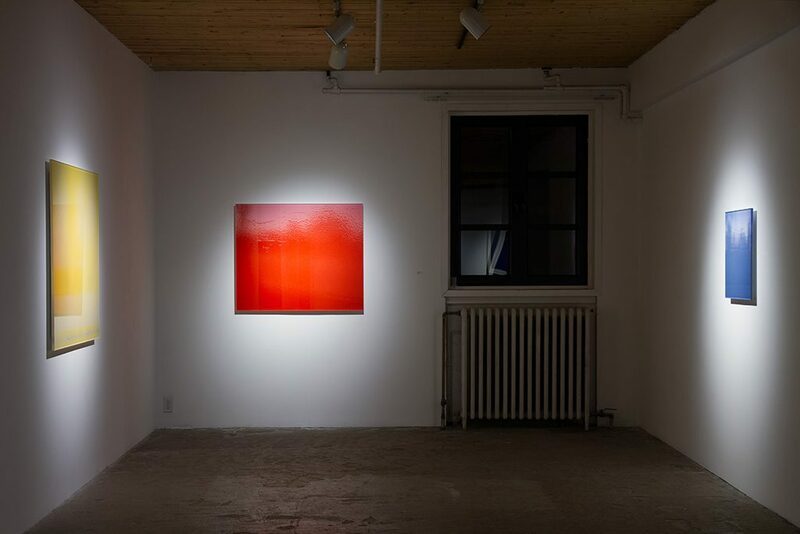 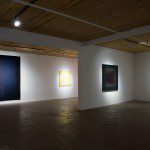 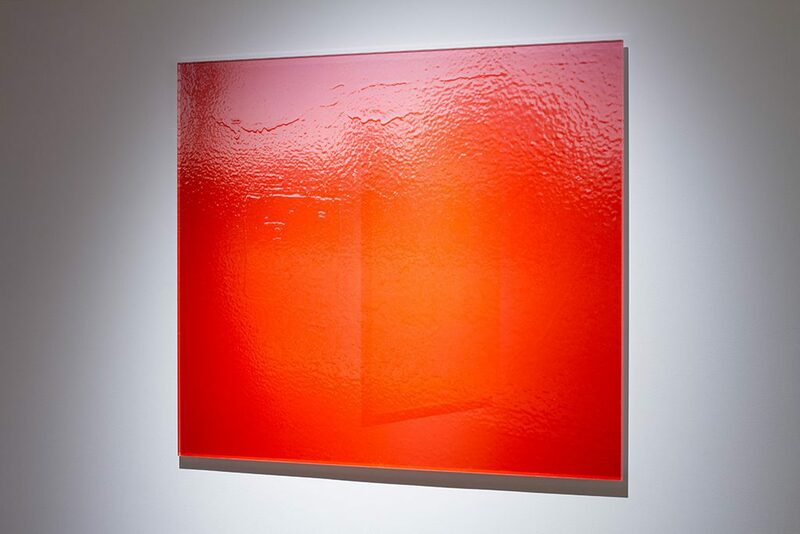 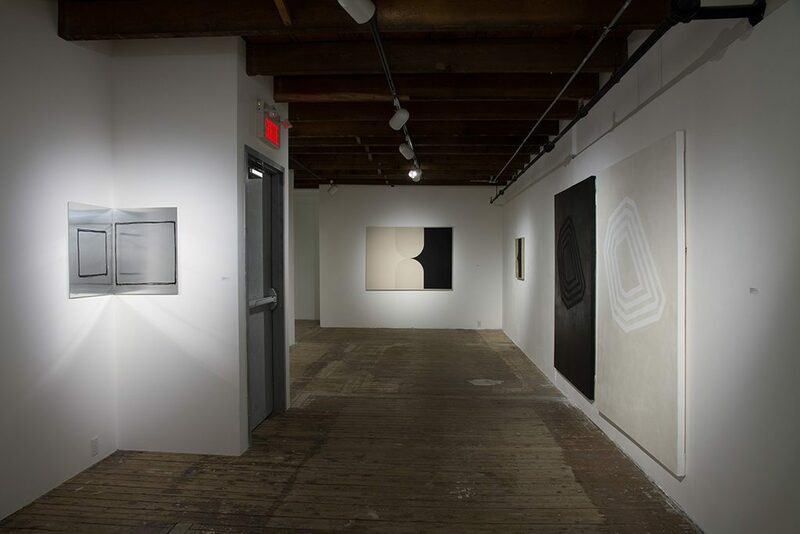 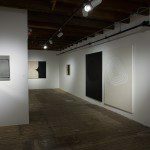 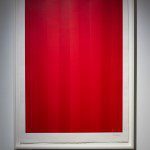 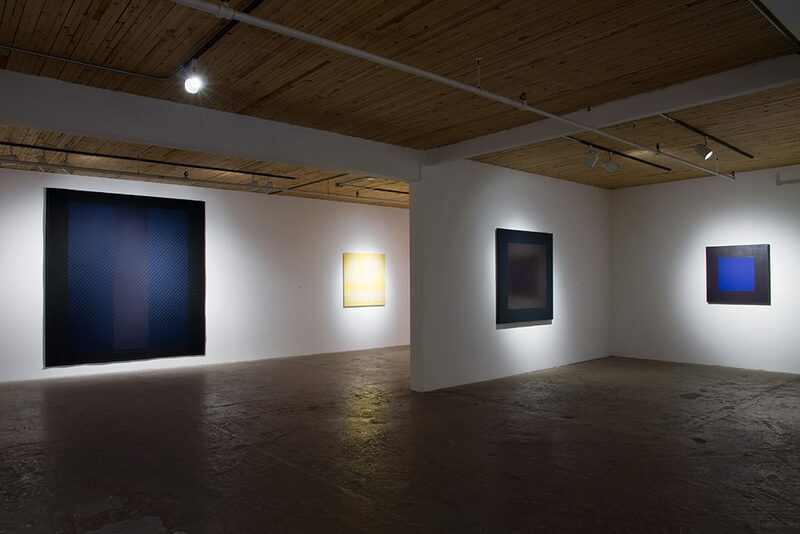 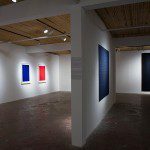 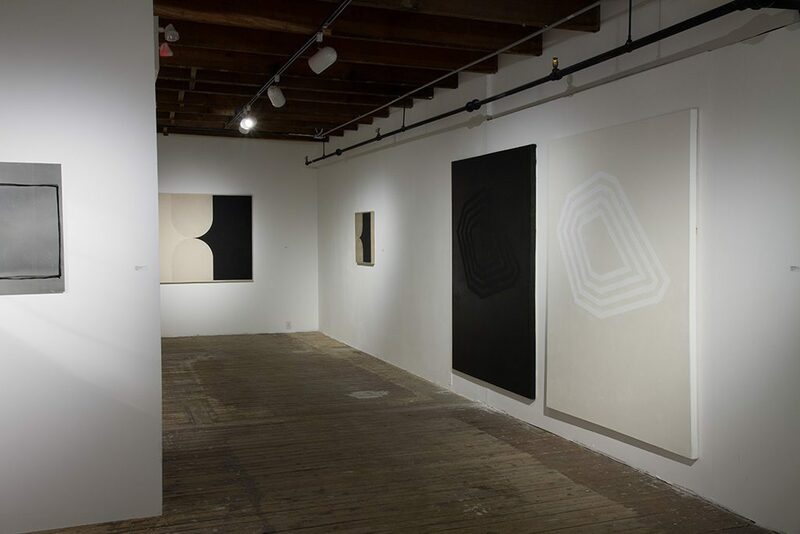 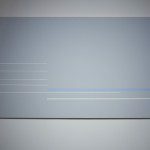 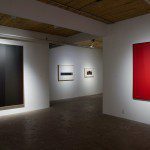 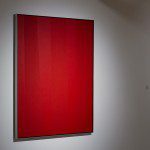 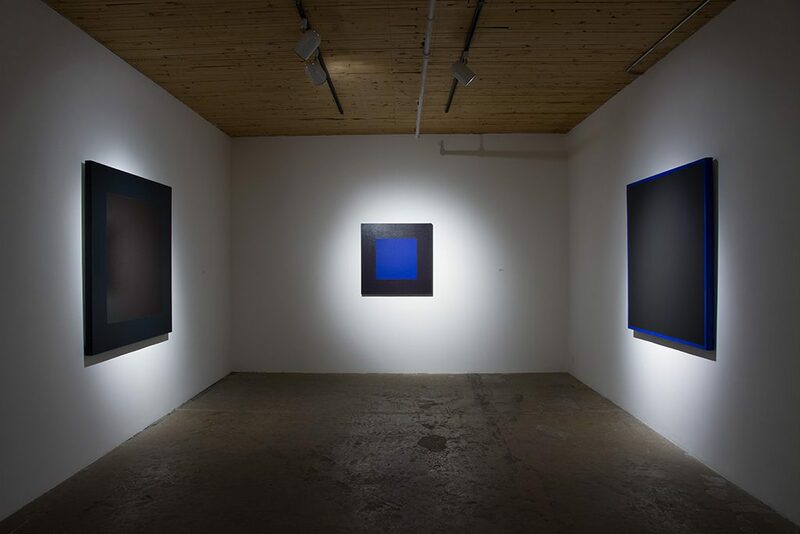 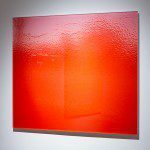 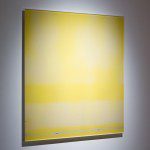 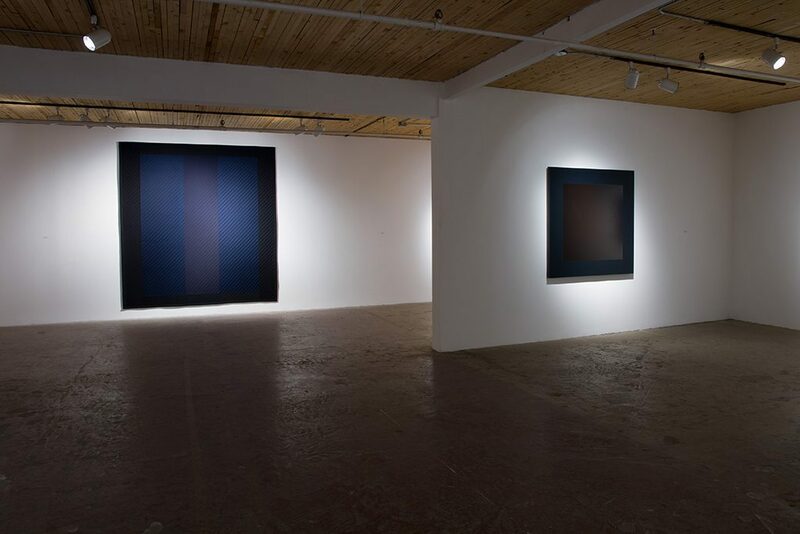 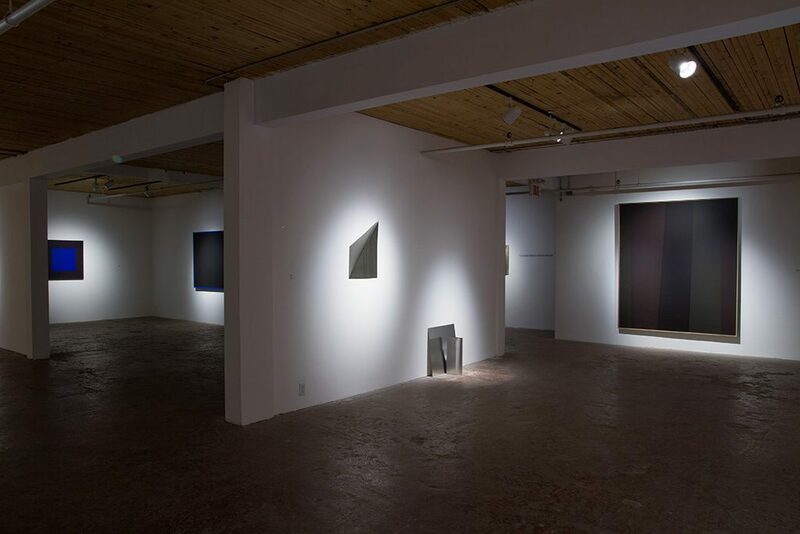 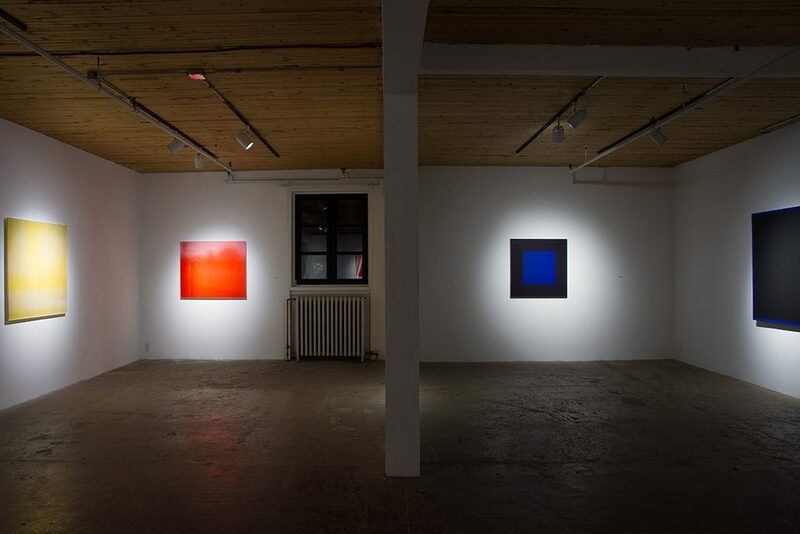 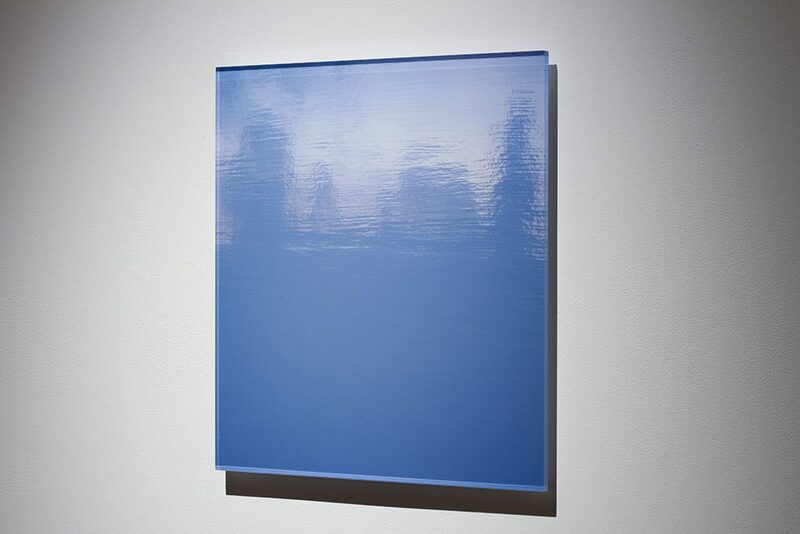 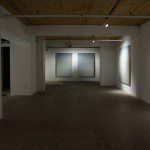 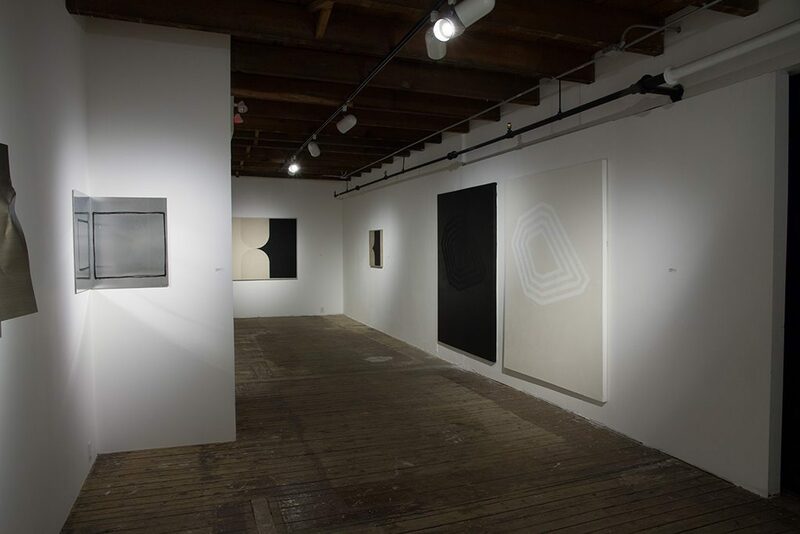 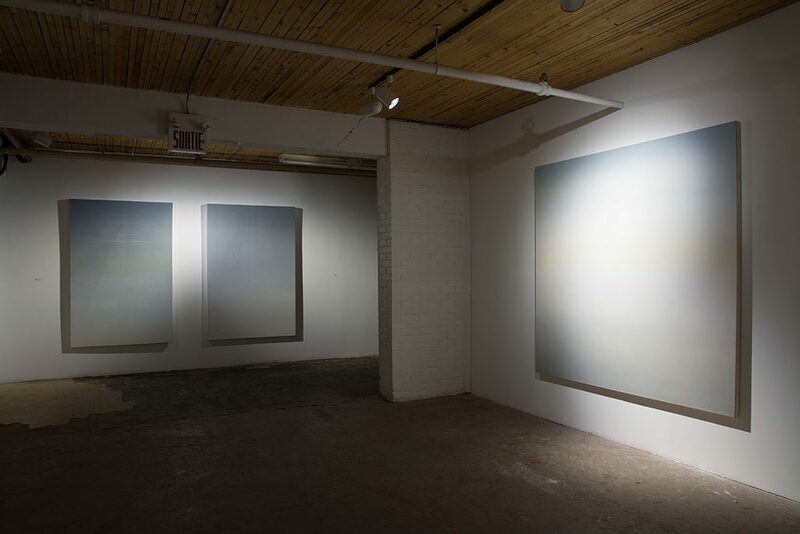 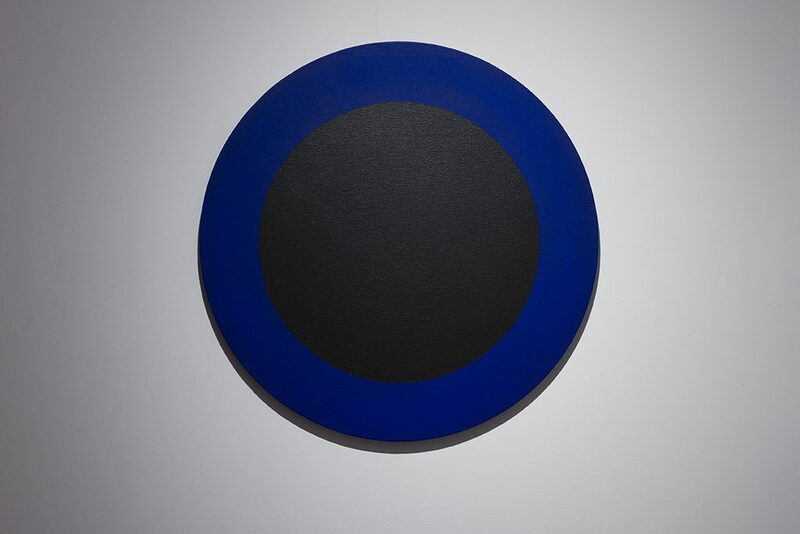 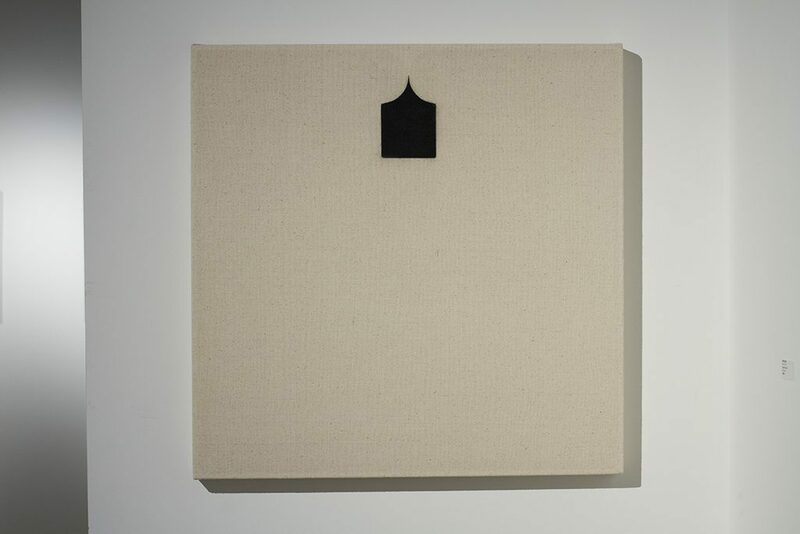 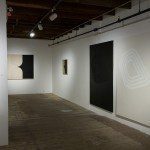 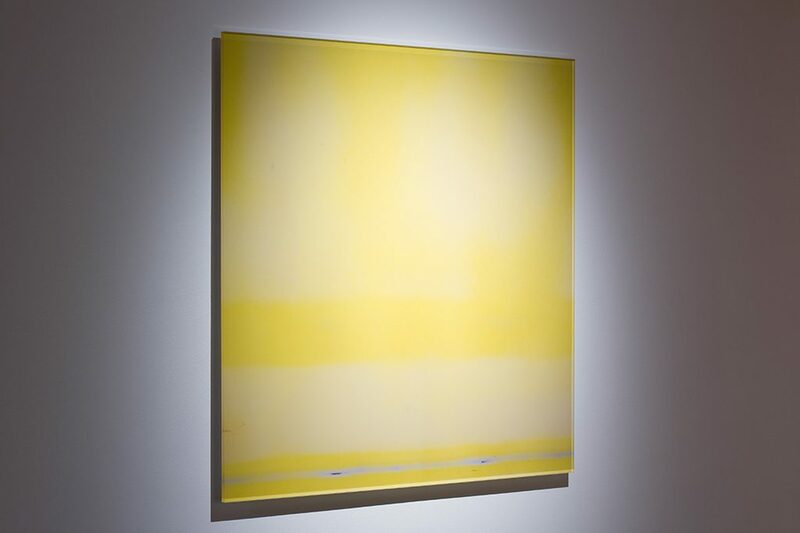 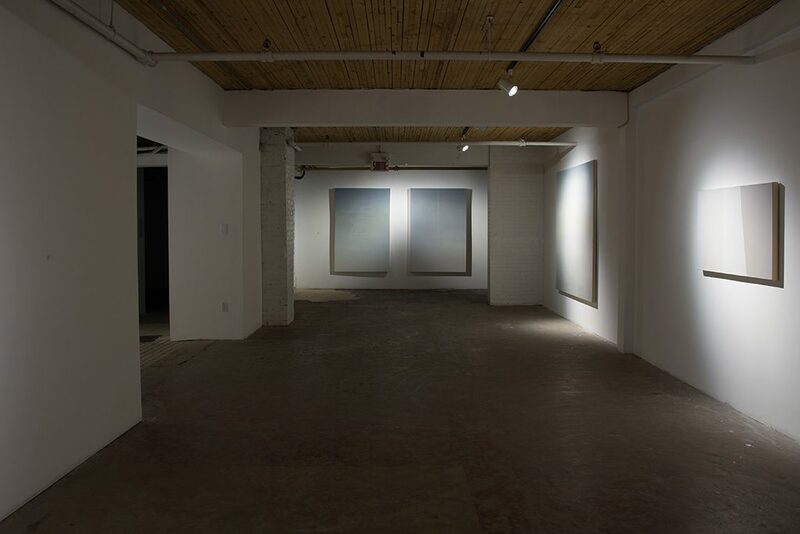 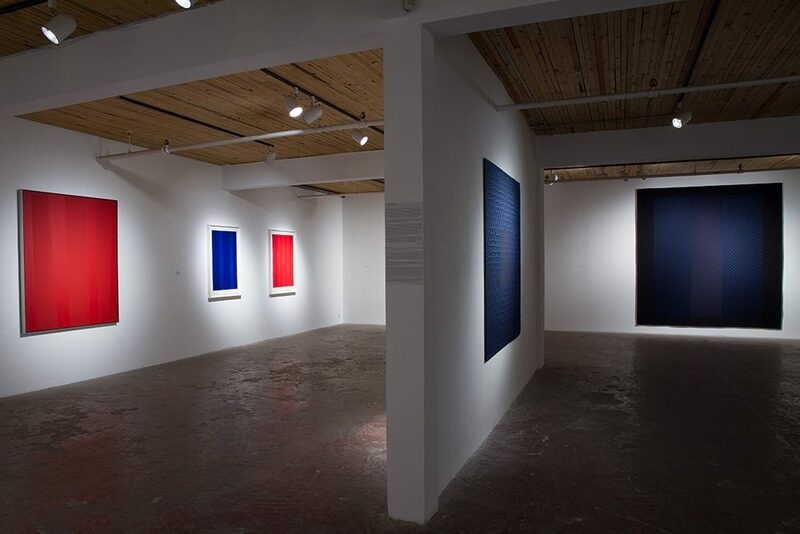 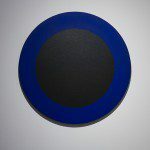 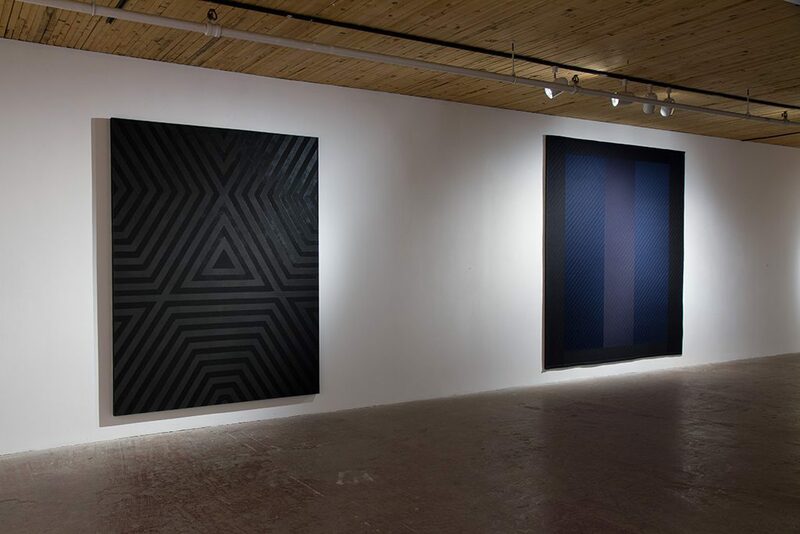 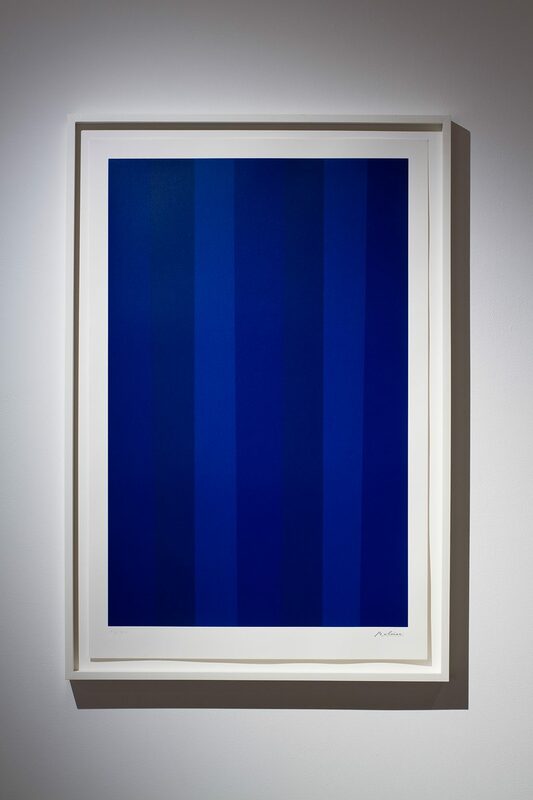 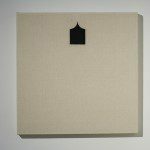 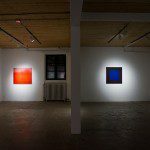 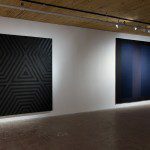 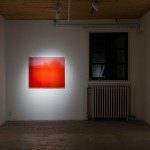  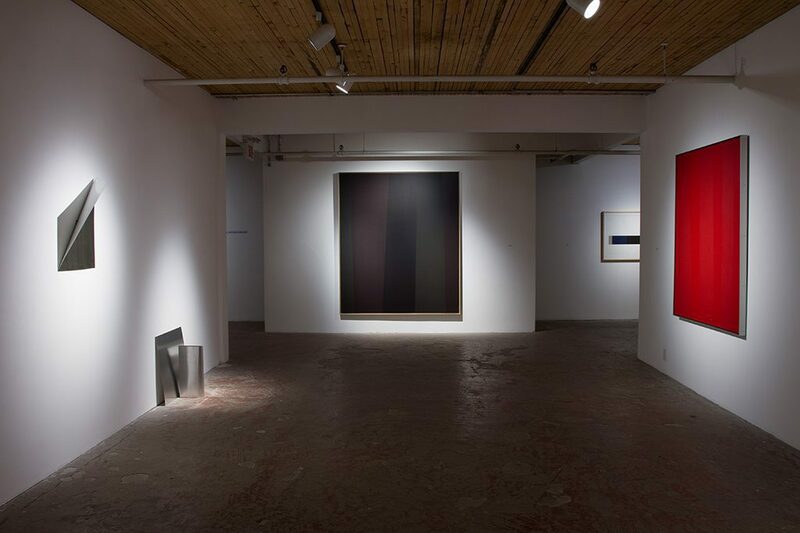 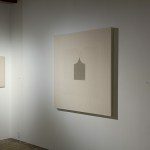 The second generation, comprised of Jinny Yu, Henri Venne and Barbara Todd owe their practice to the cultural significance of single-colour painting with a twist. 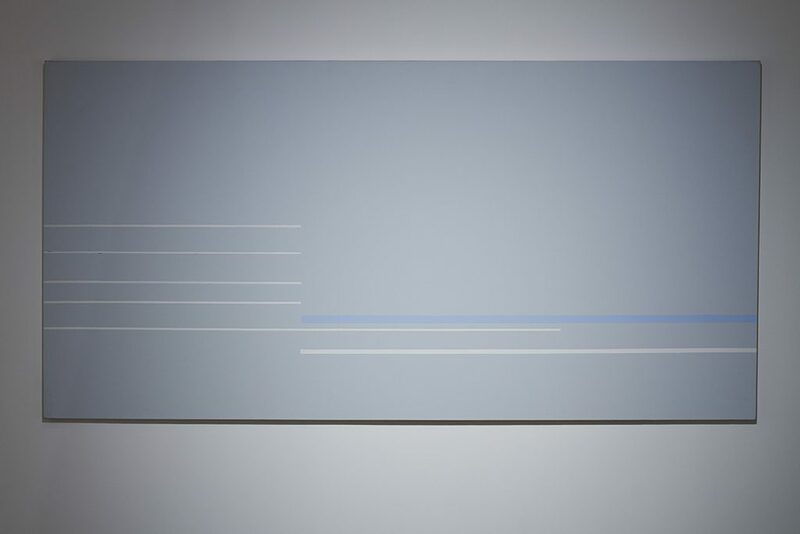 Henri Venne’s reference to previous generations of painters is perhaps the most deliberate of the three. 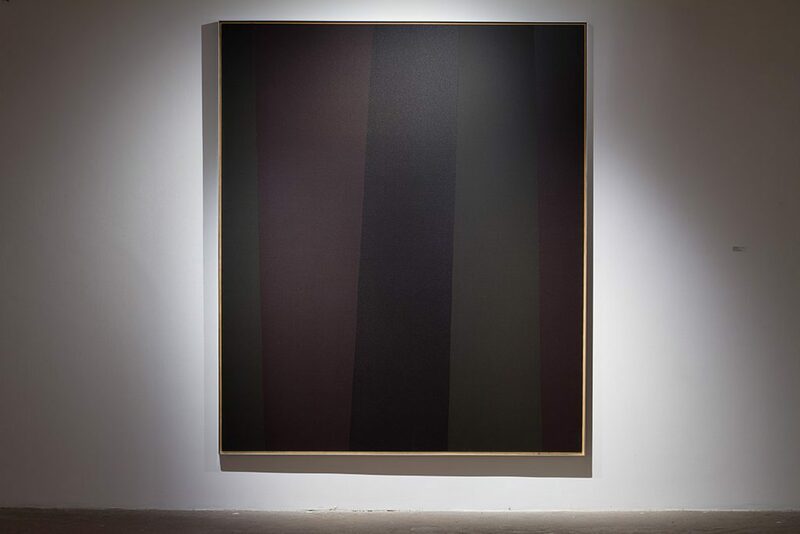 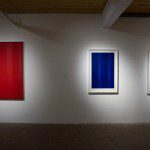 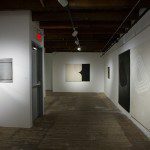 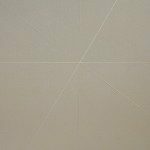 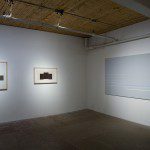 At the crossroad between painting and photography, his works share the same formalist aesthetic as the generation that precedes him. 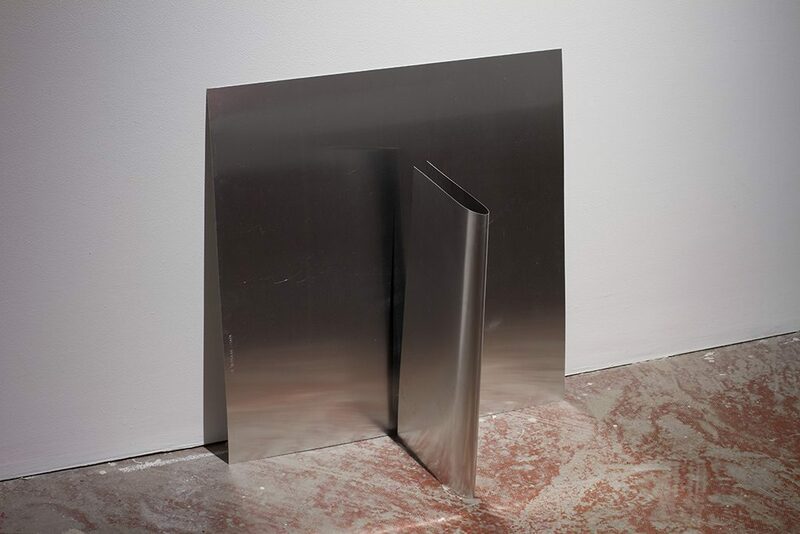 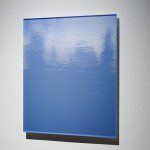 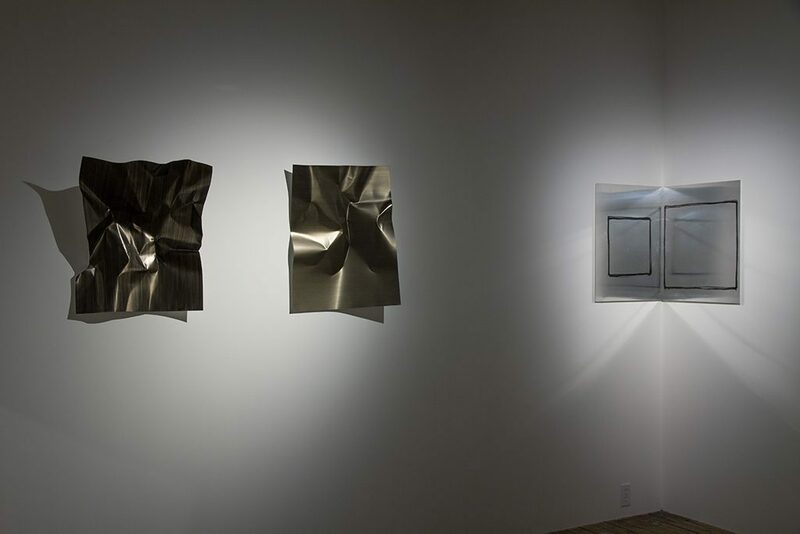 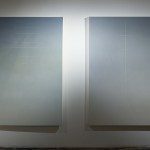 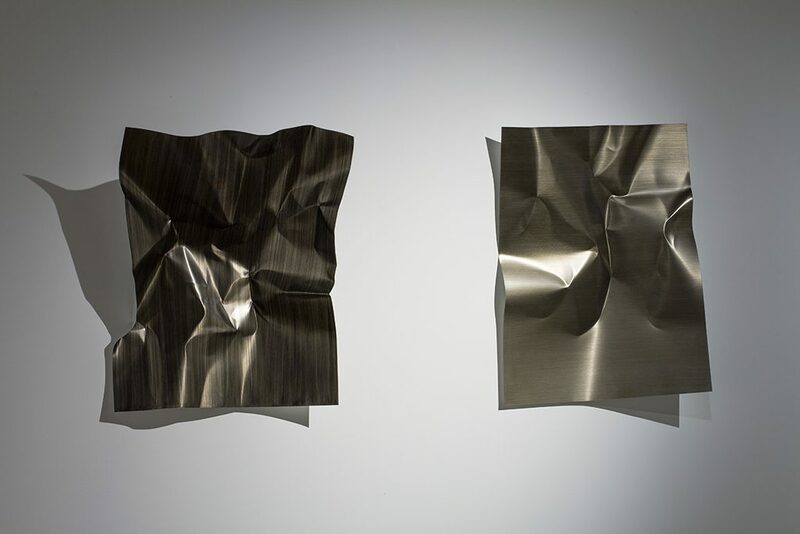 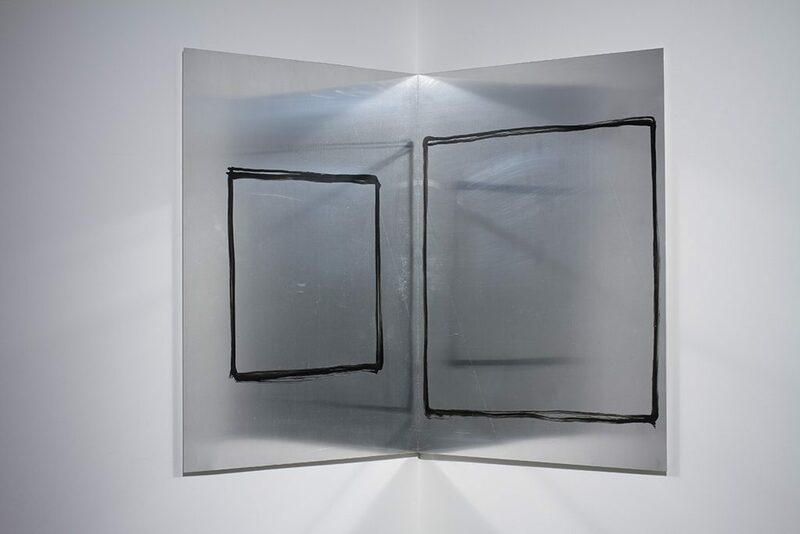 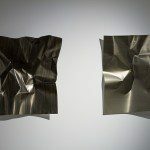 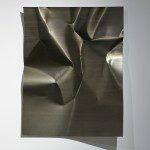 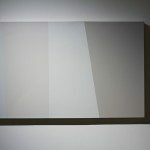 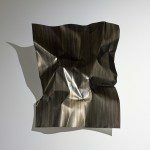 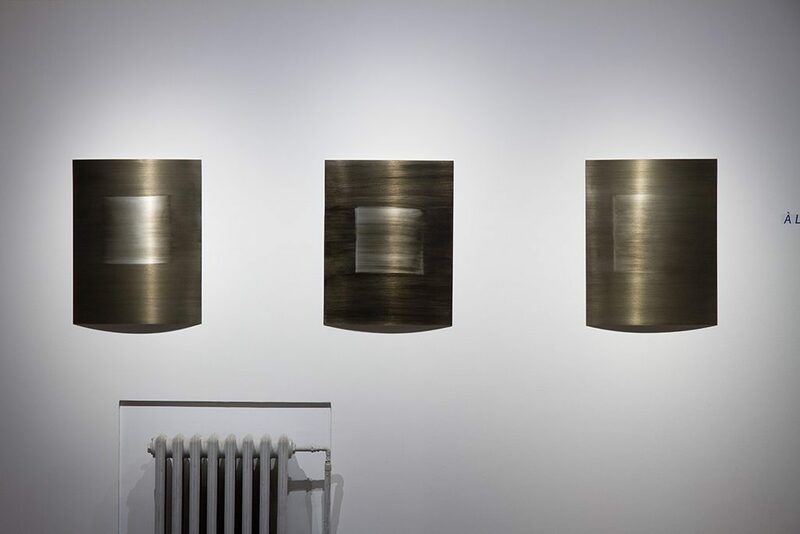 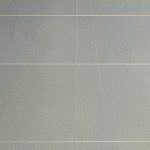 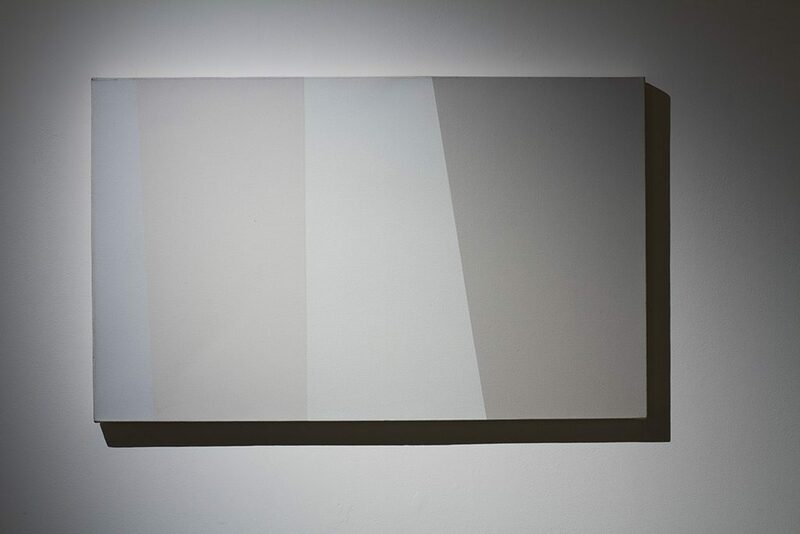 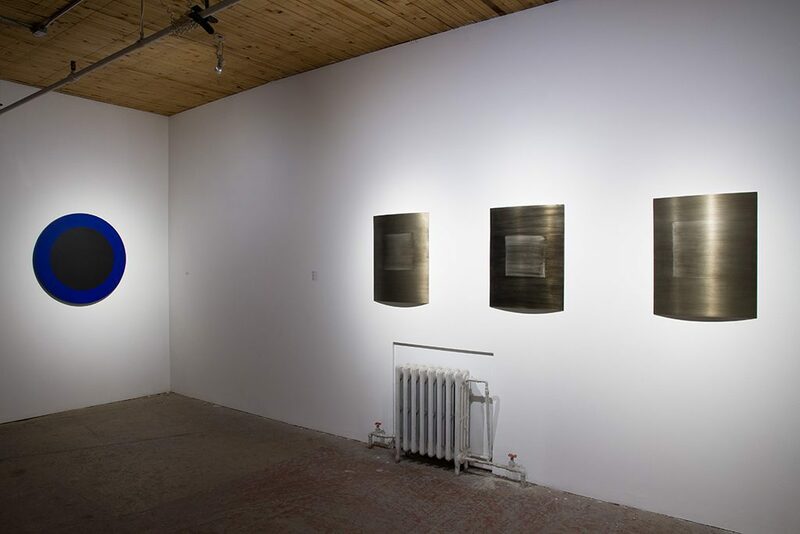 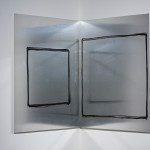 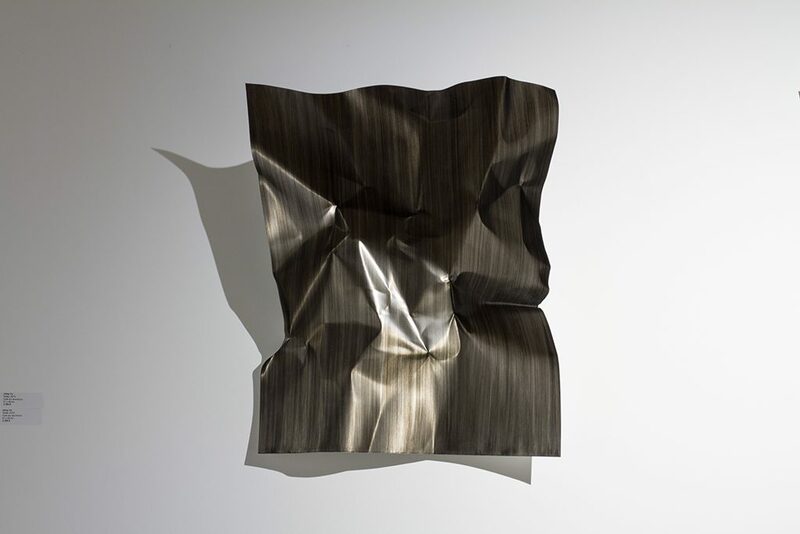 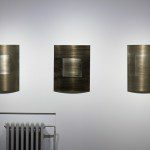 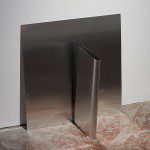 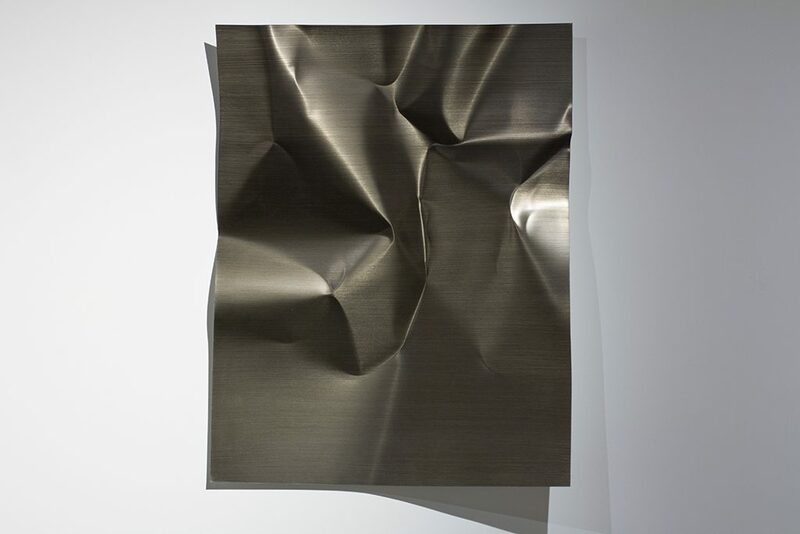 Jinny Yu’s use of reflective aluminium allows the viewer to be confronted to the act of viewing, of looking. 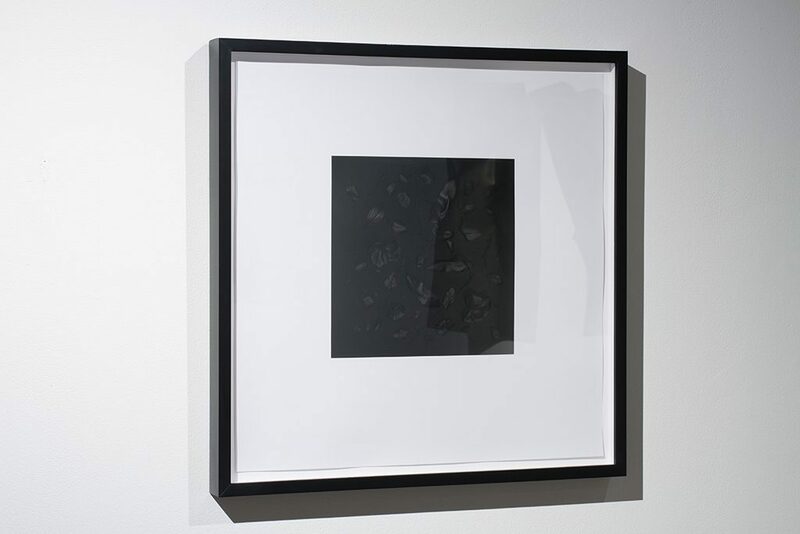 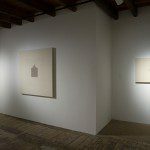 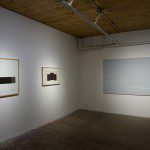 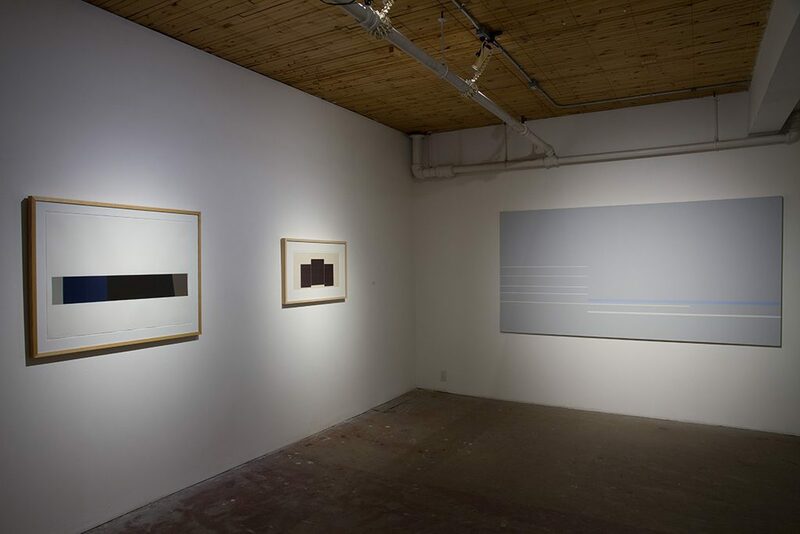 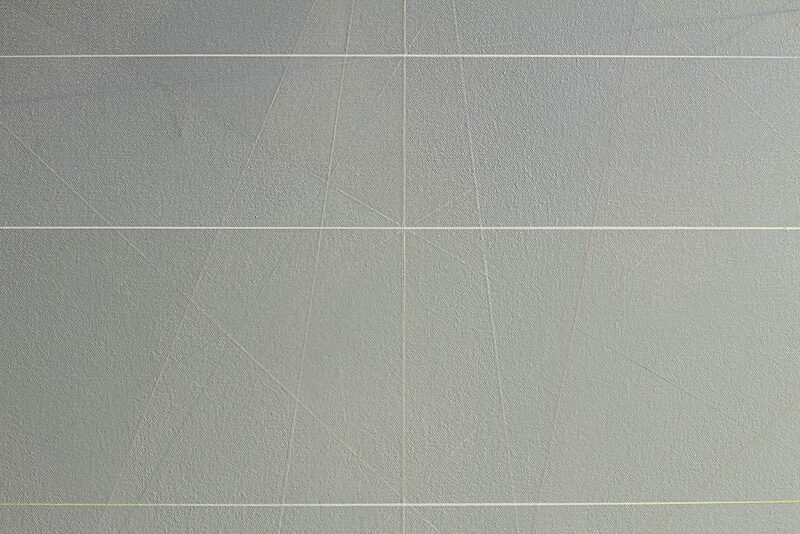 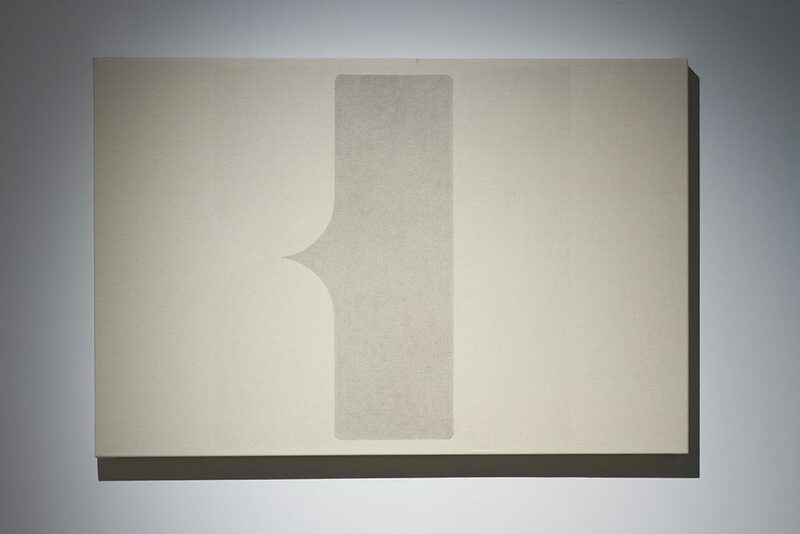 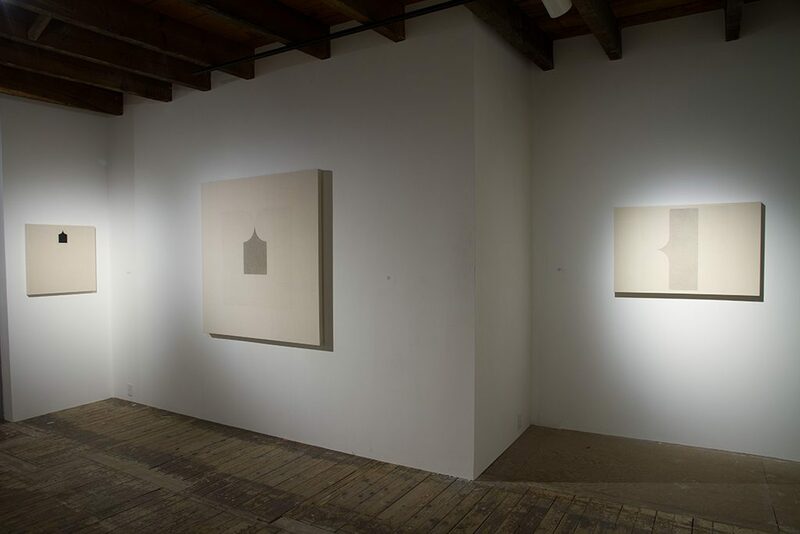 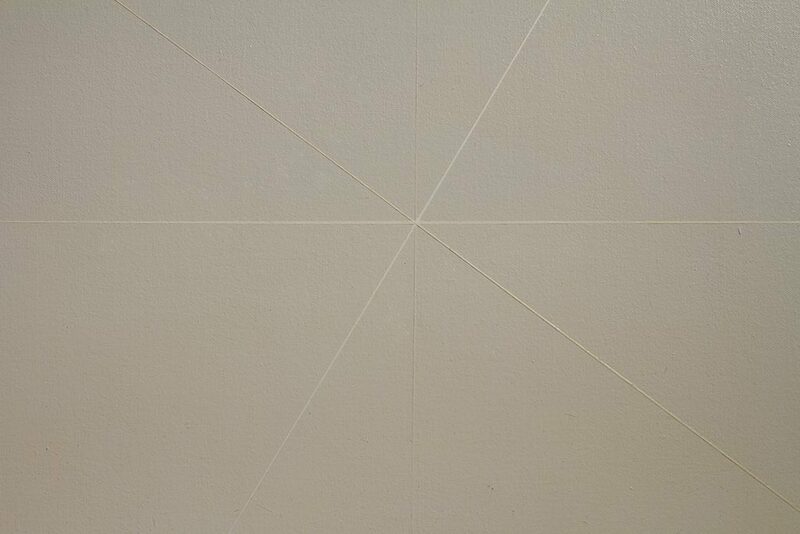 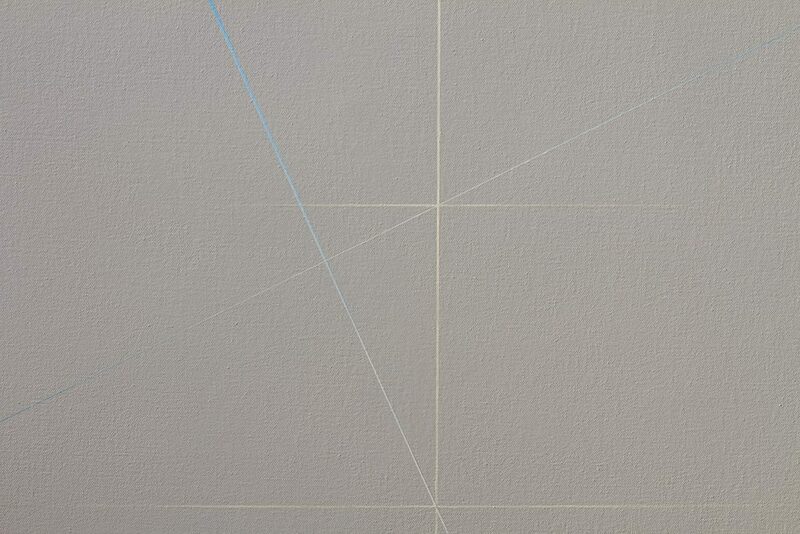 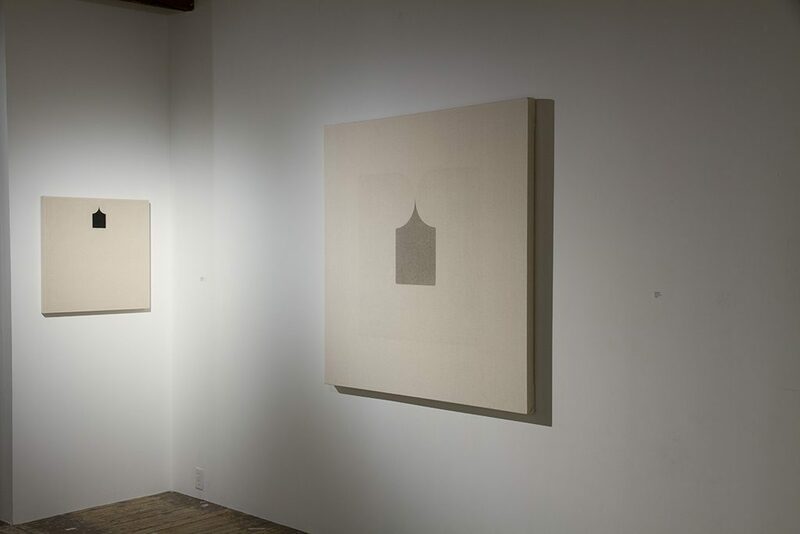 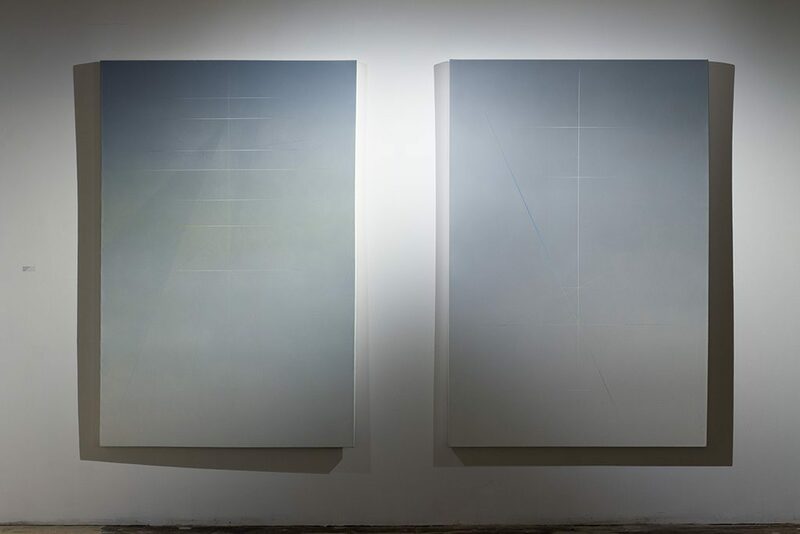 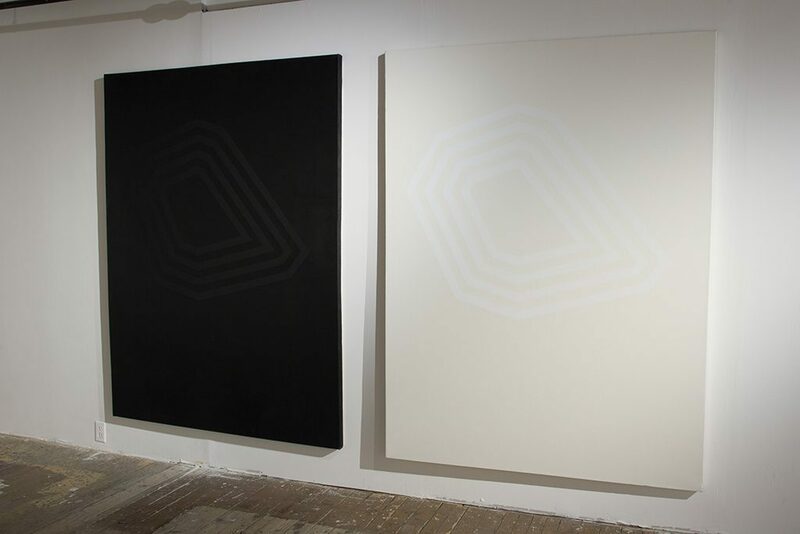 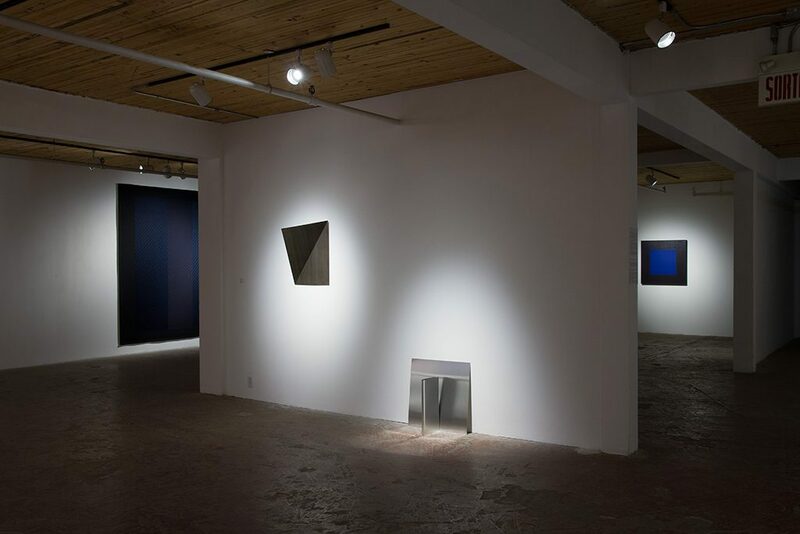 Her works appear always changing according to light and to viewers’ relative position in space. 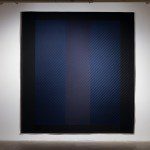 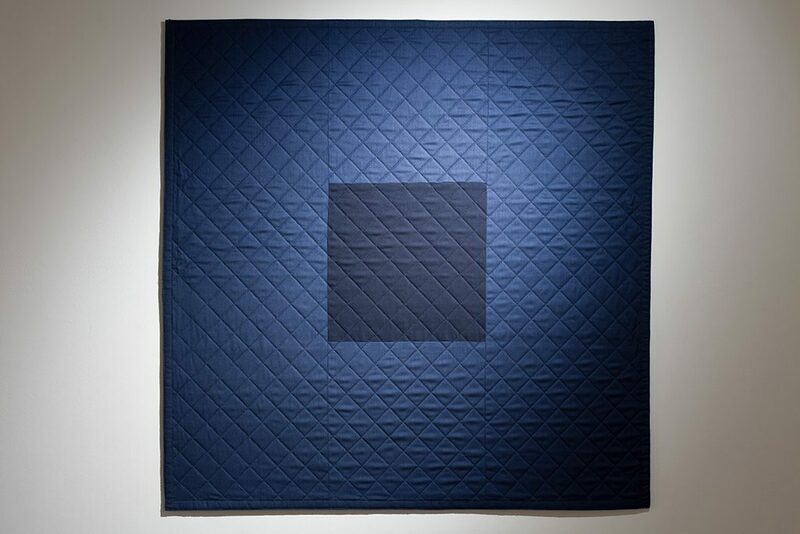 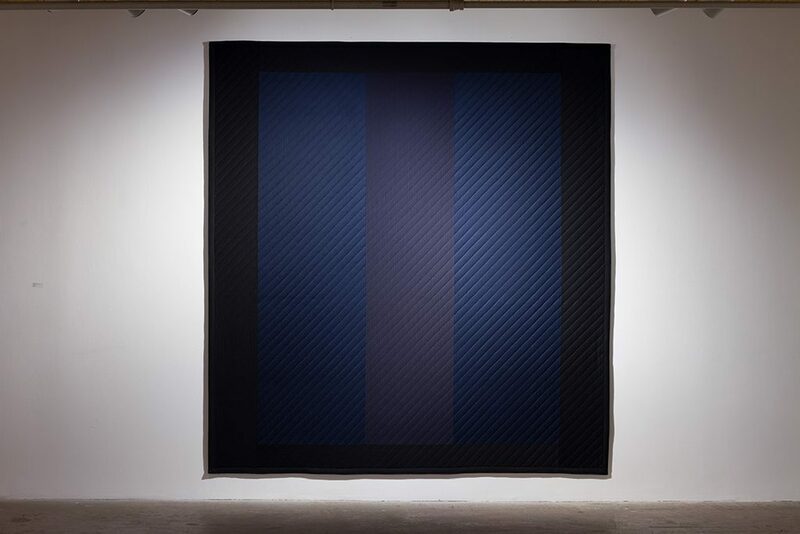 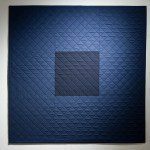 Barbara Todd uses textile rather than brushes and paint to reinvests an aesthetic often associated with masculinity (with the exception of Françoise Sullivan, whose artistic legacy should not miss to be mentioned). 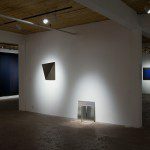 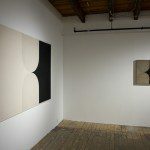 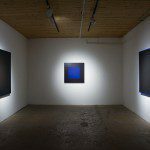 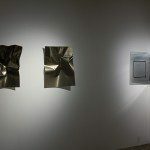 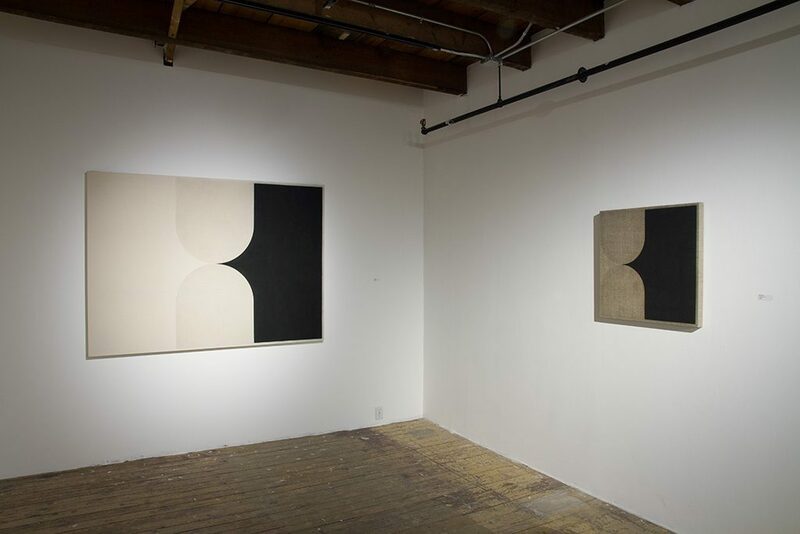 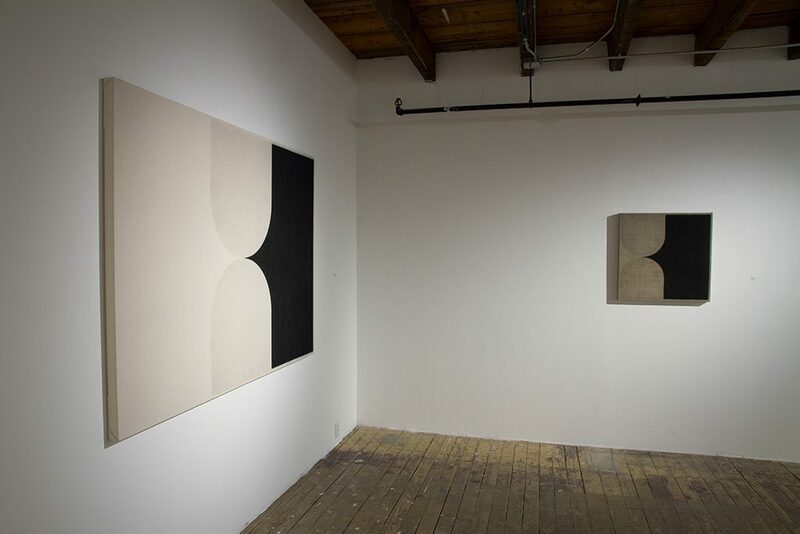 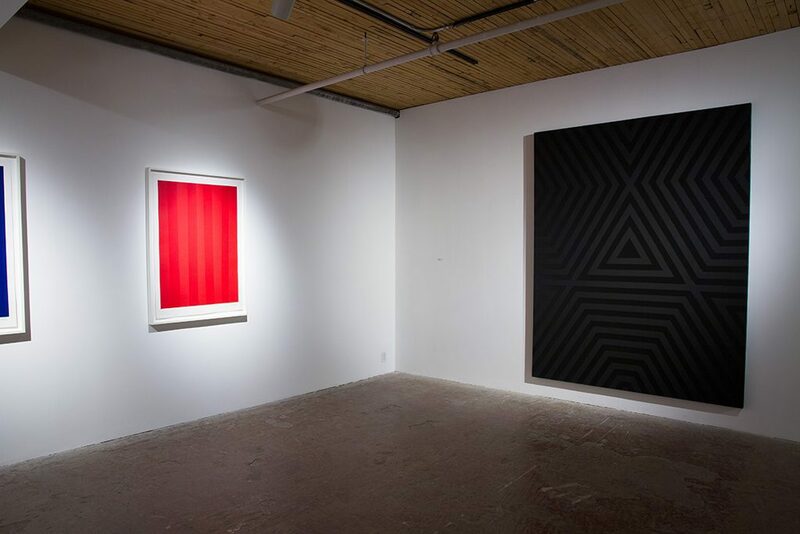 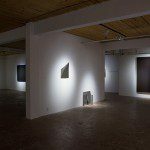 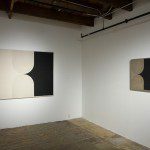 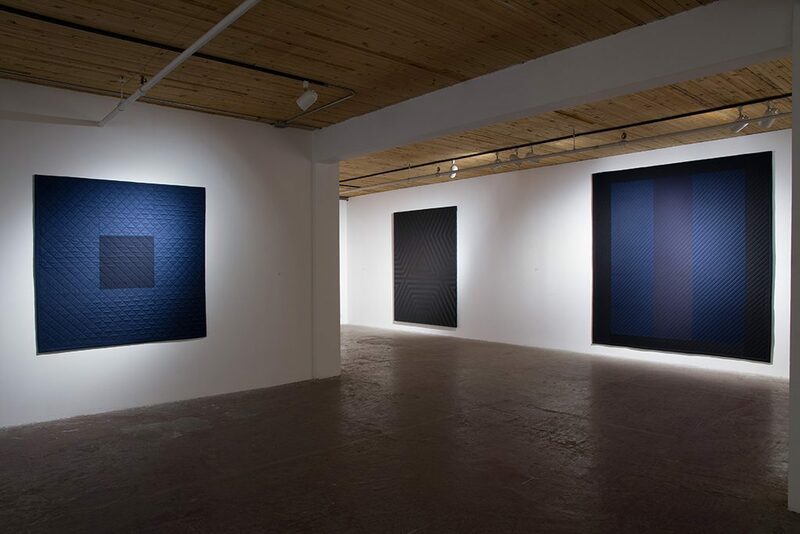 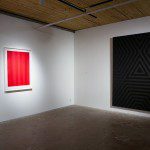 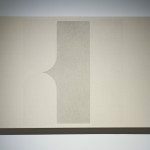 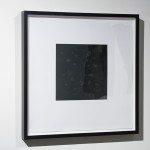 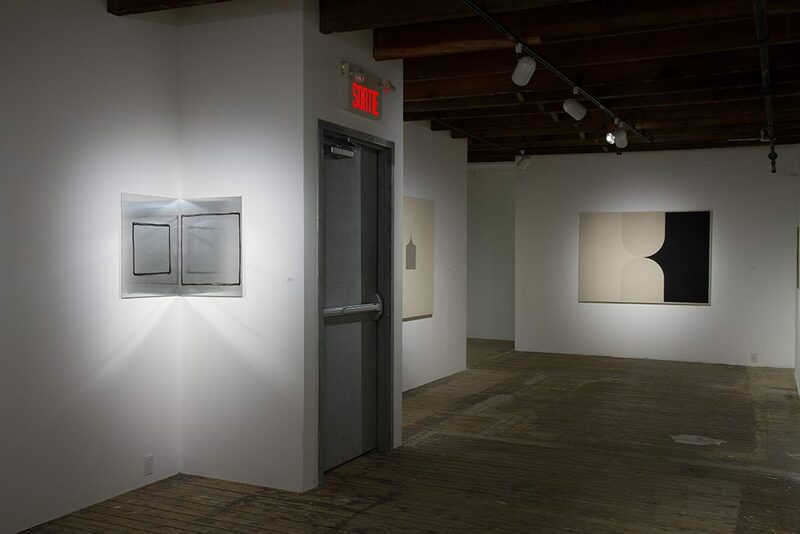 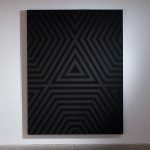 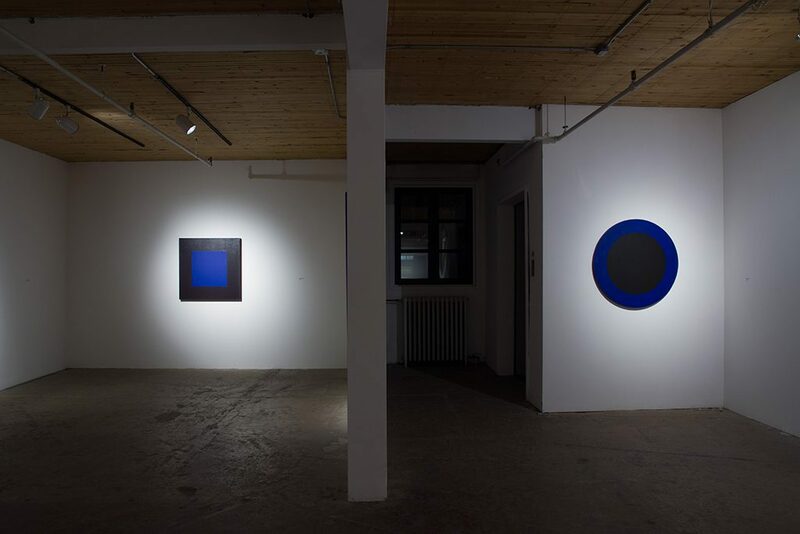 The work of Neil Harrison, Braden Labonté and Michelle Lundqvist, the youngest generation, reveal the same aesthetic concerns delivered through simplified geometric forms and a controlled use of colour that defines both generations before them. 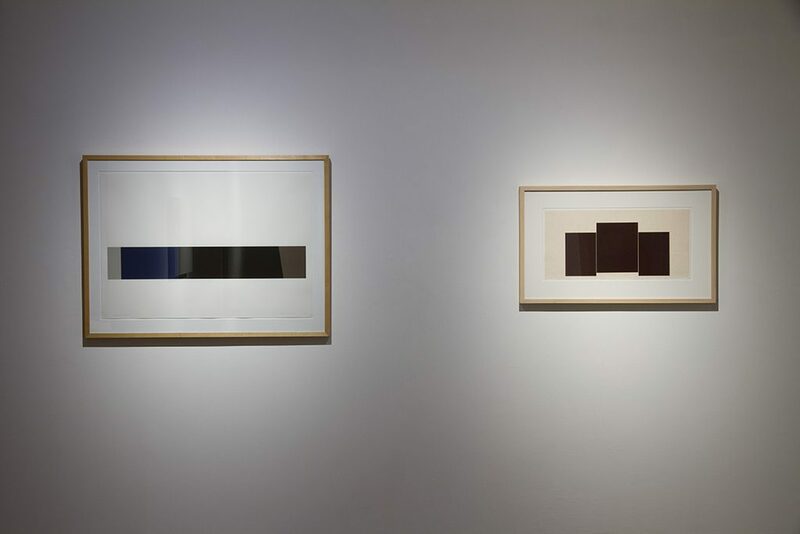 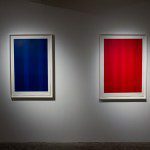 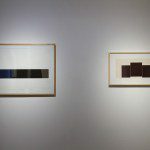 Being of their time, they have not merely copied what had already been done before them, but found contemporary ways of reinstating monochromes. 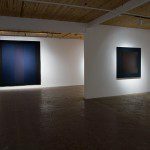 They seem to have learned a persisting language of forms and colour and continue to investigate its possibilities in surprising manners.